We are eternally striving to assure that our skills, education and training, are used to provide the highest quality dental care. 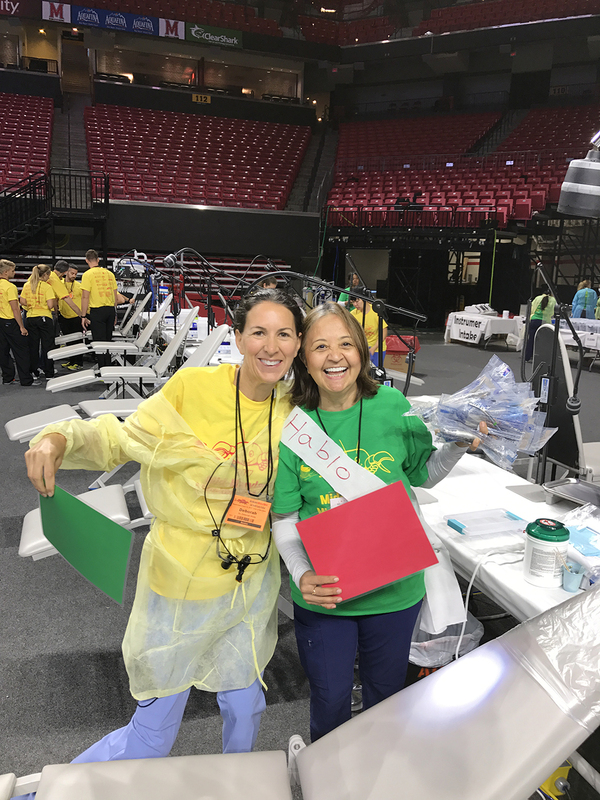 Several weeks ago, the team from Bethesda Sedation Dentistry joined the Mission of Mercy of Southern Maryland, at the University of Maryland, College Park, to provide dental care to those in need. We, along with other clinicians and support members, provided much needed dental care to over 700 patients in a two day span. It was an exhaustive and rewarding opportunity for us all. We will certainly keep you posted as we continue to provide other kinds of care and services to patients across the area, and around the world! Our Bethesda dentists and “Dream Team” recently participated in the 2013 Western Maryland Mission of Mercy. The event was a free Dental Clinic in Garrett County, Maryland to help people who can’t afford to get dental care any other way. 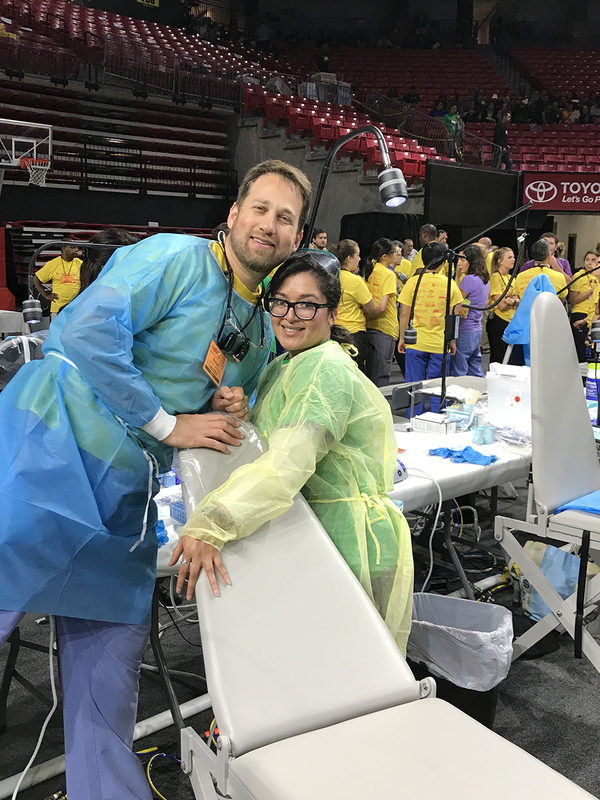 With the participation of 578 volunteers including 63 dentists, 51 dental assistants, 41 hygienists, 46 medical staff, 113 dental/medical students, and 225 community volunteers, we were able to help around 700 patients over the two days. More specifically, over 4,250 procedures were completed in the clinic resulting in over $600,000 in free dental services. 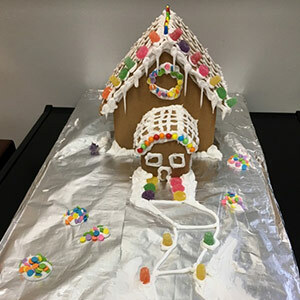 This year the team at Bethesda Sedation Dentistry decorated gingerbread houses that were auctioned off to raise money for the Fisher House Foundation. 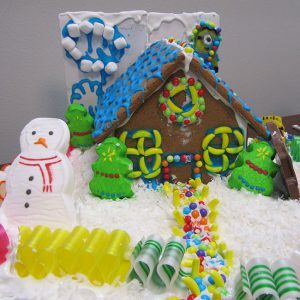 Below are our wonderful creations. 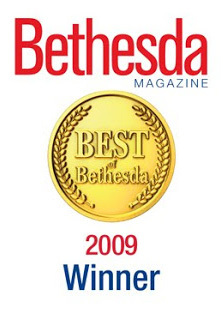 Bethesda Sedation Dentistry is compassionate about helping the community and organizations such as Operation Smile. 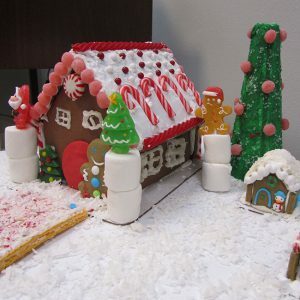 Each team member puts their creative touch to the test, to bring their gingerbread house’s to life. 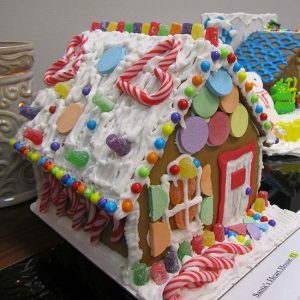 Each house has become part of a silent auction, with the proceeds being matched by Bethesda Sedation Dentistry. 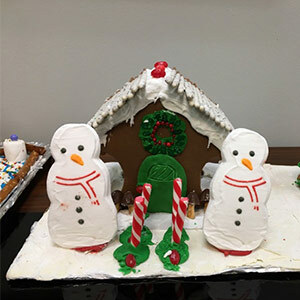 Guess which team member made which gingerbread house. 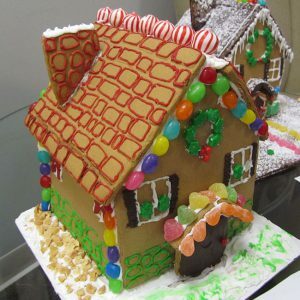 The winner of the most votes was Dr. Deb with The Chocolate House. In May of this year we participated in WMAL’s Military Appreciation Month which honored our Nation’s military men and women. 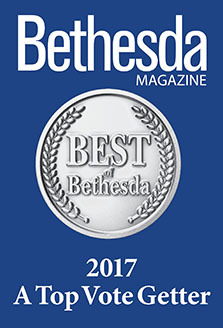 Bethesda Sedation Dentistry arranged to donate one hundred dollars for each new patient visit to Fisher House Foundation. The Fisher House program was established over 20 years ago to show our service men and women that we care about them—particularly in their time of need. 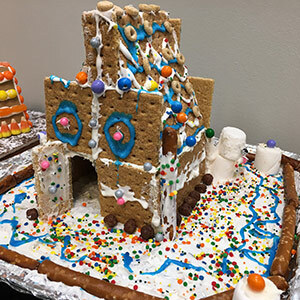 Since then Fisher House Foundation’s unique mission of providing a “home away from home” for our nation’s heroes during a personal medical crisis has become an essential resource for so many deserving military families. We are proud to support them. 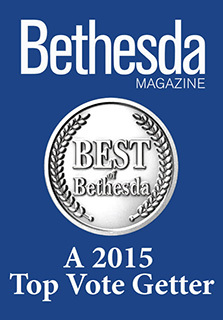 We sincerely thank each of our new patients for becoming part of the Bethesda Sedation Dentistry family. Their visits have enabled us to send a donation of one thousand dollars to support the Fisher House Foundation. February was Dental Health Month. Dr. 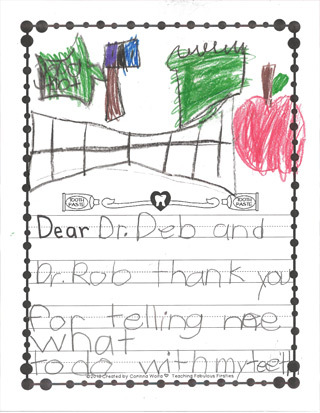 Rob and Dr. Deb taught the importance of brushing teeth and eating healthy foods. We received many lovely thank you notes and drawings from the children. We loved being part of their day! 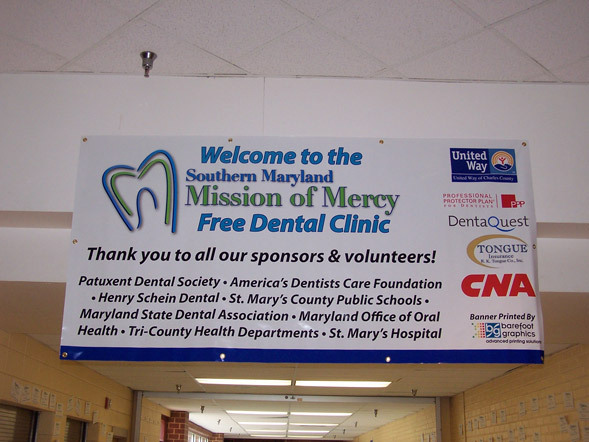 In June of 2012 the team of Bethesda Sedation Dentistry was proud to participate in the Southern Maryland Mission of Mercy where we helped to provide dental care to more than 700 underserved adults. Mission of Mercy was held the week of June 22, 2012, and was a resounding success! The next Mission of Mercy is scheduled for 2014, and is now in the planning process. More than 100 million people in the United States are without dental insurance. In Southern Maryland, 51,500 people are without insurance, resulting in a silent epidemic of dental and oral disease. Mission of Mercy is a free adult dental clinic provided by volunteer dental professionals and volunteer staff of several hundred people. 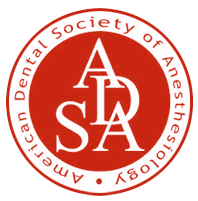 All dental services were provided by licensed dentists and hygienists, mostly from Maryland. 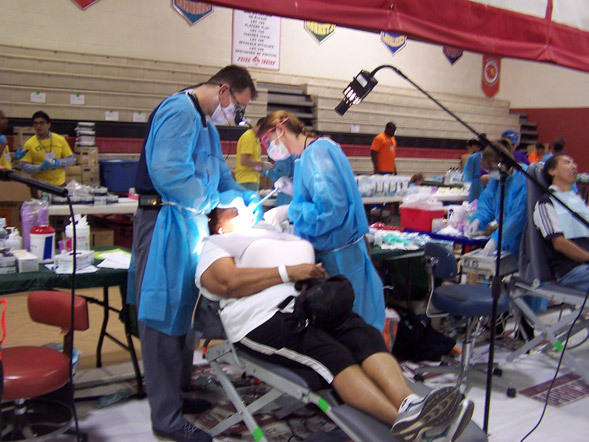 Mission of Mercy was launched by Virginia Dental Health Foundation in 2000. Over 50 MOM projects are hosted in Virginia, and now are spreading elsewhere across the region. 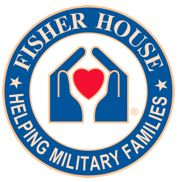 We are proud to be affiliated with The Fisher House, located at the National Naval Medical Center in Bethesda, MD. This amazing program supports America’s military in their time of need. The program recognizes the special sacrifices of our men and women in uniform and the hardships of military service by meeting a humanitarian need beyond that normally provided by the Departments of Defense and Veterans Affairs. 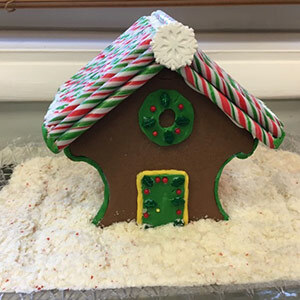 Because members of the military and their families are stationed worldwide and must often travel great distances for specialized medical care, Fisher House Foundation donates “comfort homes,” built on the grounds of major military and VA medical centers. 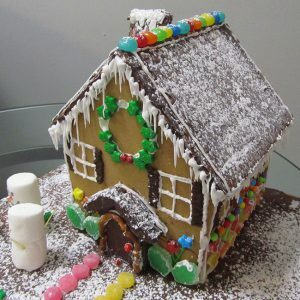 These homes enable family members to be close to a loved one at the most stressful of times – during the hospitalization for an unexpected illness, disease, or injury. 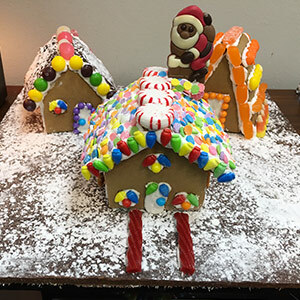 Annually, the Fisher House program serves more than 11,000 families, and have made available nearly three million days of lodging to family members since the program originated in 1990. 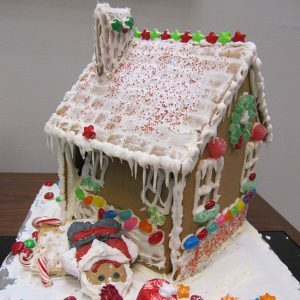 There is no charge for any family to stay at a Fisher House operated by the Department of Veterans Affairs. 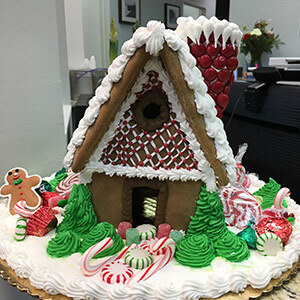 The team at Bethesda Sedation Dentistry understands the great circumstances that families staying at Fisher House are enduring at this difficult time. 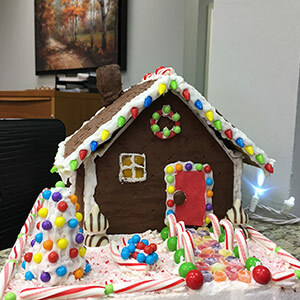 We are honored to be able to assist the Fisher House residents with emergency dental care during their stay enabling them to spend as much time with their loved ones as possible. We are thankful for what the staff, along with Fisher House Foundation does to provide care and support for our wounded servicemen and women, and their families. For more information about our practice’s community outreach, please feel free to contact us today.